Born Kwame Ametepee Tsikata, Manifest is one of the best rappers Ghana has ever seen in recent times. He is simply great but before he is even given the crown by Ghanaians, Manifest has boldly declared he is the best rapper of his generation. According to the son of the renowned retired lawyer, Lawyer Tsatsu Tsikata, he gives respect to the pioneers of the rap game in Ghana, besides them, he is the best among his mates. 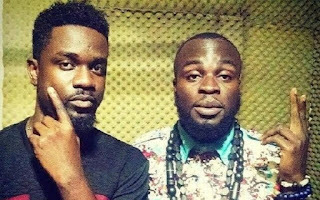 M.anifest has finally opened up on the relationship he has with fellow rapper Sarkodie. He described their relationship as simply “colleagues in the industry”. Speaking on Hitz Fm’s Daybreak Hitz show with Andy Dosty on Monday morning, the GodMC once again downplayed the feud. “We’re both good at what we do and we’re thoughtful people so we’ll do what’s best. Who knows… there might be a surprising turn of events. Posterity knows best” He added.